More explanation can be found in the original post. 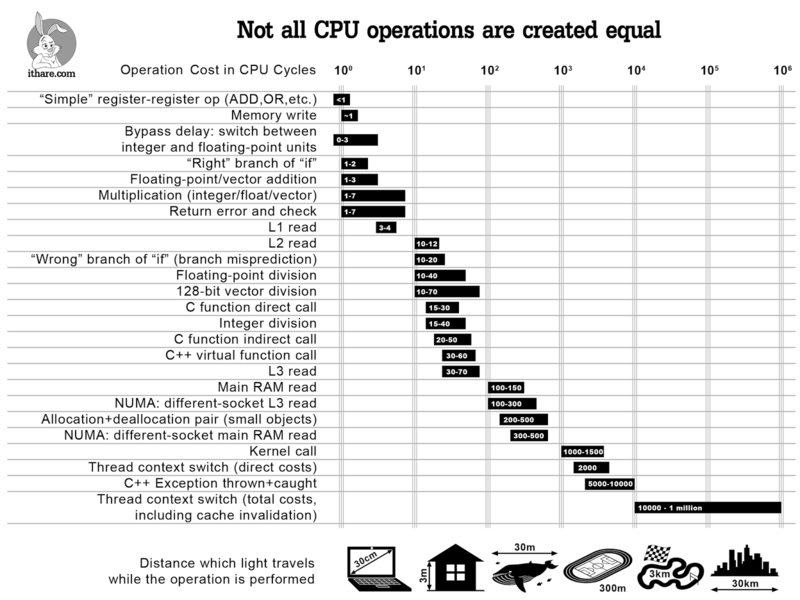 It should be noted that in general you dont need to be extremely aware of what executes in how many CPU cycles but to have a idea of what is the cost of the different classes of operations or "to have mechanical sympathy". where template_meta_funct (which is a template class or struct) is the metafunction name, parameter1-4 are the types that are the input parameters and return_value is ... the return value (Note! you can have many return values). Tag dispatching is a technique of selecting different implementations based on a class trait. That's right. The rumors are true! The C++ Standards Committee is in fact removing things from C++! And here they are - the features that are removed from C++ in the incoming standard (C++17). Removed as in "it wont compile if you try to use them"
trigraphs - digraphs and trigraphs are sequences of two and three characters, respectively, that appear in source code and, according to a programming and languages specification, should be treated as if they were single characters. Examples can be found here.